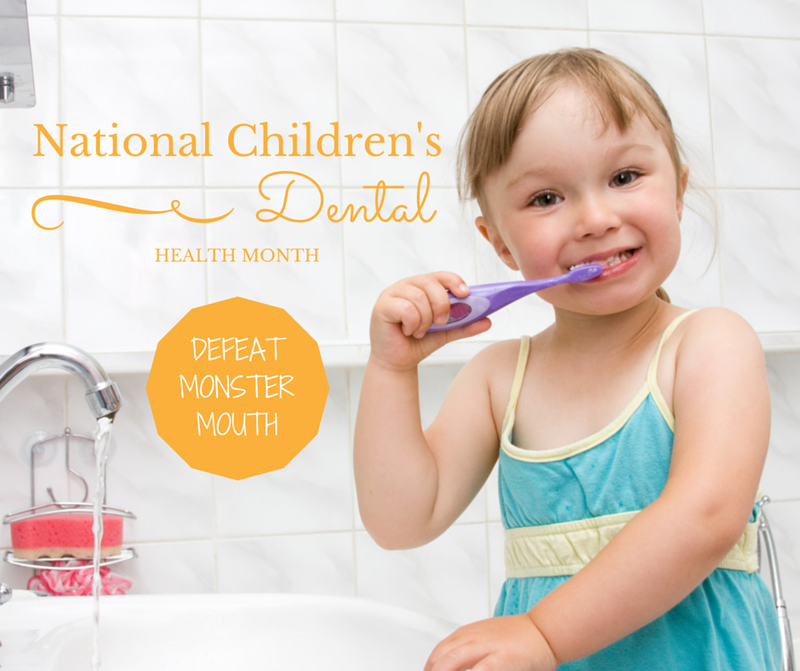 February is National Children’s Dental Health Month, and we’re dedicated to raising awareness! Have you ever seen that amazing “magic trick” when you ask your child “Did you brush your teeth?” And they respond with a “yes” only because their toothbrush is wet? Then come to find out, there was no brushing going on, they merely stuck their toothbrush under the faucet and wiped their front teeth once, maybe twice. Now is the perfect time to kick this bad habit! Dental health can fun for kids (and adults)! Let’s start off with toothpaste. There are gels, pastes, and so many different flavors; such as cinnamon, vanilla, bubble gum, and variety of different mint flavors. Let your child choose which one they would prefer. Floss comes in different flavors as well and also had a variety of textures. There are waxed, woven, and even the hand-held pick form to name a few. Choosing a toothbrush will probably be your child’s favorite. Not only are there options as far as handheld or battery operated, but there are TONS of different designs now! Your child can pick their favorite cartoon character or stick to the basics like their favorite color. While the tiny sand timers you flip upside down are always fun for kids to watch, there are now toothbrushes with built-in timers. The brush will alert timer markers with a beep or a vibration for 2 minute duration, some even play a popular song. This is the perfect way to create a morning and nighttime routine to get your child excited about developing healthy habits. Getting your child involved in the decision-making of choosing some cool and fun dental products makes them more apt to look forward to brushing and flossing daily. Starting off good oral hygiene practice at a young age will propel your kids into the future for a lifetime of healthy pink gums and bright shining smiles! A healthy smile is a smile you can be proud of! Now that we are trying to adapt to writing “2015”, have you given any thought to a New Year’s Resolution? If you haven’t, it isn’t too late. And even if you have, you can never have too many! Typically, dental hygiene and dental aesthetics aren’t usually considered when it comes to reflecting on self improvement. More than daily flossing, consider your over all oral health. Do you avoid smiling or find yourself talking while covering your mouth due to a missing tooth, an unsightly chip, large gap, or another imperfection affecting your teeth? Everyone is aware of teeth whitening; here are more options on how easy it is to improve your smile! We see many patients with those old silver and gold fillings. Those unsightly things are no longer the standard of care. Tooth colored composite fillings ones are crafted to match your natural color and are near invisible to the naked eye. Chipped teeth are often healthy, and like gaps, they too cause uneasiness in social situations. Often making you feel like the center of unwanted attention. Dental bonding is one of the least expensive cosmetic procedures, and the color is matched to restore your natural looking smile. There are a few different types of tooth pain, all of which should be reported during your dental visit: brief sensitivity to hot and cold foods, sharp pain when biting, dull aches, constant pressure, lingering pain. There is no reason to endure the pain, call so we can help! Enhancing your smile offers huge gains. Not only does it boost a person’s confidence, it can improve a person’s overall health and well being. It’s like getting a spectacularly wonderful haircut. You feel better about yourself and notice a new glow surrounding you. When you have a smile that you are proud of, you naturally show it off to the world! Smiling is known to lower heart rate and reduce stress. Who would say no to that? Start the year off with your best foot forward and set your mind toward some dental goals. No matter how big or how small they may be, you will be happy with the results as well as yourself for making it happen! After decades of dreaming about becoming a dentist, Hermey the Elf was named DDG (Dental Do-Gooder) in November by the president of the American Dental Association ADA)! 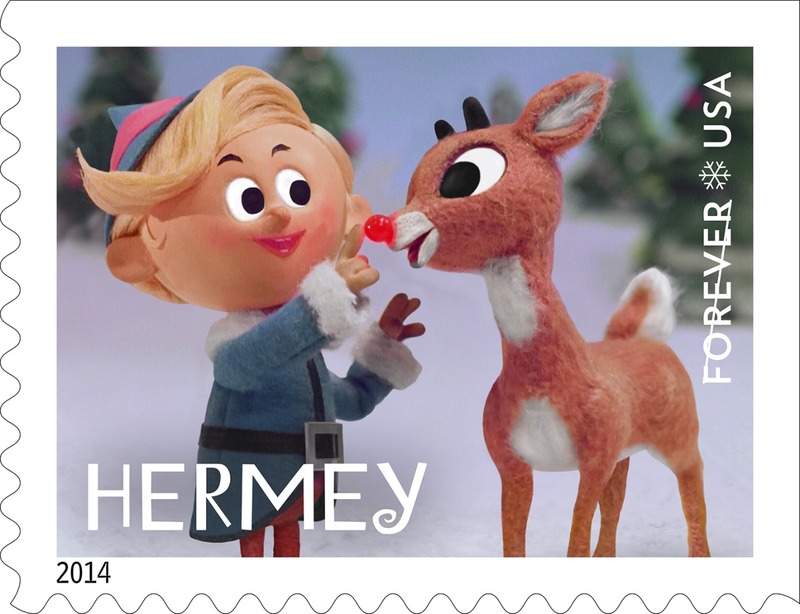 According to Ken Muller, brother of ‘Rudolph’ screenwriter Romeo Muller, the original name for Hermey the Elf was supposed to be “Herbie” in honor of a childhood friend. Clarice (Rudolph’s girlfriend) was named after the future bride of another friend. Yukon Cornelius has a diverse dog sled team. Instead of Siberian Huskies or Alaskan Malamutes, his mixed team of pooches includes a Poodle, a Cocker Spaniel, a Saint Bernard, a Dachshund and a Collie. The animators also created the character –narrator of Sam the Snowman to look like Burl Ives, who was the voice for that part. In the original script, while Rudolph, Hermey and Yukon Cornelius promise to visit the Island of Misfit Toys and bring them back, they never do so. After the show first aired, Rankin-Bass, the production company, were inundated with letters from concerned kids demanding that the Misfit Toys be rescued. To console the children, they produced a short scene where Rudolph, Santa, and the rest of the reindeer arrive on the Island and deliver the Misfits to new homes. This scene has shown on TV since 1965. Kids rule!! The original puppets of Santa Claus and the younger Rudolph were eventually purchased by a new owner after going on tour in 2007. Since they were in absolutely horrible condition– Santa had half of his mustache missing while Rudolph was missing his famous nose — the new owner spent $4,000 for them to be restored to mint condition by stop-motion animation studio Screen Novelties International. Even though we are celebrating Hermey, DDG’s achievements there are other notable elves that we should visit. Who remembers the Elf on the Shelf? Elf on a shelf is a special “spy” elf. This elf was sent from the North Pole to help Santa Claus manage his naughty and nice lists. After the elf arrives and is named, the scout elf receives its Christmas magic and can fly to the North Pole each night to tell Santa Claus about all of the day’s adventures. You definitely want to stay on this elf’s good side! The next day the scout elf returns to its family and sits in a different place to watch the fun. Children love to wake up and race around the house looking for their scout elf each morning. Some came offering candy, like a chocolate sampler box. Bushy Evergreen (Inventor of the magic toy-making machine). Pepper Minstix (Guardian of the secret of where Father Christmas’ village is located). Shinny Upatree (The oldest friend of Santa and the cofounder of the secret village in Lapland). Sugarplum Mary (Head of the Sweat Treats, she is also known as Mary Christmas. She is an assistant to Mrs. Claus and helps her in the kitchen). Wunorse Openslae (Designer of Father Christmas’s sleigh and responsible for its maintenance. He also looks after the reindeers and it is believed that his reindeers reach speeds faster than Christmas tree lights.). Now, you know more than any of your family members about those mysterious elves! The ambitious Hermey. The “Traditional”, like Elf on the Shelf and the “Real” (? ), like Santa’s Helpers. Add them to your celebrations and may you remain forever young this holiday season. Click here to color with Hermey! With the magnitude of information available to us these days, it’s harder than ever to separate facts from myths; especially when it comes to your health. There are a million dental related myths that might steer you in the wrong direction when it comes to a healthy smile. It’s important to be informed and know the facts. Here are a few common dental myths, followed by the facts. Many people hear the phrase “oral hygiene” and they think of the simple act of brushing or flossing. While oral hygiene is important for keeping your teeth healthy, poor oral hygiene can be linked to several other health problems- including heart disease. Taking care of your mouth actually means taking care of a lot of things within your body. Untreated periodontal disease contributes to more low birth weight babies than both drinking and smoking combined. Having poor oral hygiene can cause a multitude of problems- not all of them related to your teeth. Typically, it’s always better to be safe than sorry, and your dentist will generally advise you of the same. If you wait for your wisdom teeth to become painful, they might have already done other damage to your gums or teeth. Many people believe that as long as they have no pain, there’s no reason to have an unnecessary surgery. In rare cases, wisdom teeth can stay intact as long as they are not interfering or causing damage. One of the most common reasons to remove wisdom teeth is because they are so difficult to keep clean and rather than incurring costly repairs to those teeth many dentists will suggest having them removed. Frequent exams are necessary in this case to monitor and maintain your health. It’s generally better to have your wisdom teeth removed before any pain, rather than take the gamble. Teeth are actually not meant to be pure white. Tooth color can vary widely, for example, depending on your race, pigmentation varies greatly. Also, as you get older, your teeth will naturally take on a more faded color as things do with time, however they can still be perfectly healthy. A color beyond a light yellow could be cause for concern, but generally the pinkness of your gums is a better indication of oral health as opposed to how white your teeth are. The most common mistake people make regarding their dental health is skipping regular preventive visits because they do not see or feel any problems. Even in the absence of a visible problem or discomfort, regular visits for x-ray exams, cleaning and necessary restorative care are necessary to maintain your teeth and gums for life. Discovering diseases in the mouth earlier rather than later will typically reduce cost, recovery time and severity of dental treatment that may need to be performed. It’s important to educate yourself on the facts surrounding whole body health and well-being. Muddled information and common misperceptions can leave people confused. The best way to combat myths and augment dental health is to see and speak with your dentist regularly. Have open dialogue and productive conversations about what is and is not true. Being informed, savvy and educated will keep you and your dentist smiling. The fall season brings an amazing amount of fun activities for you and your family. From the excitement of Halloween, to school fall festivals, kids and parents alike look forward to the cool weather and family memories. 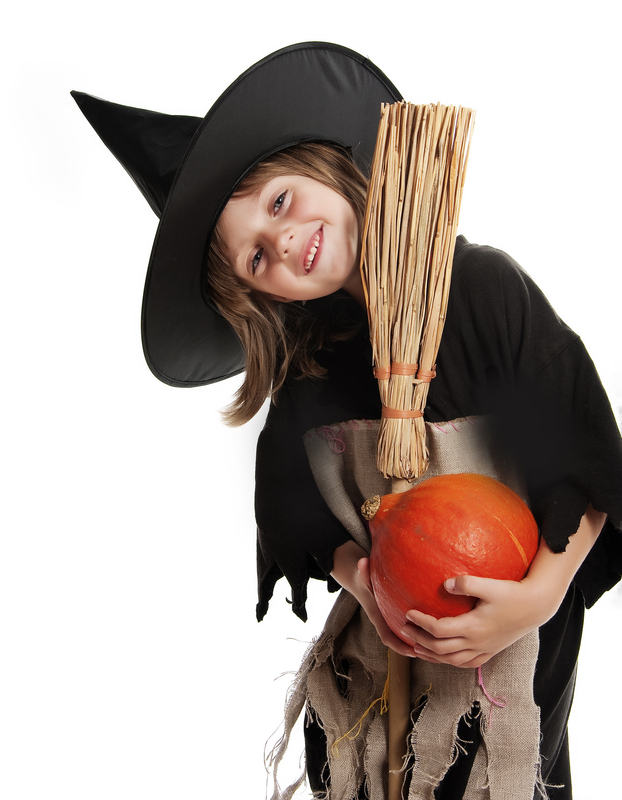 Unfortunately, Halloween and fall festivals can also do a number on your child’s teeth. Hard candies, sweet treats and sugary snacks can be cavities waiting to happen. Handing out Halloween candy doesn’t mean you have to hand out oral health disasters. There are a number of healthy alternatives to the candy bars and licorice- some that trick-or-treaters might even enjoy more than the sugar rush. The days of handing out apple slices and pennies to avoid contributing to tooth destruction are gone! Take a look at some of these creative trick-or-treat alternatives that will leave all the little ghosts and ghouls smiling throughout the year. Applesauce is still a sweet treat, and not nearly as hard on the teeth. Not only that, they’re portable, affordable and a great way to avoid the mess of some other treats. You can get a pack of 48 pouches for about 35 dollars on Amazon, which is enough to give all the trick-or-treaters something healthy to smile about. Larabars are gluten free, vegan, kosher and only have about 8-11 grams of sugar per bar. They also come in mini form, making them perfect to hand out on Halloween. The great thing about these treats is that the kids won’t even know they’re healthy! LaraBars have flavors such as cherry pie, apple pie and cashew cookie and are just as delicious as the other mini candy bars that will be weighing down their bag. If you can’t find LaraBars, or they’re a little too pricey for you, granola bars of any kind will be a better choice than chocolate. Rice crispy treats are a delicious sweet treat for trick-or-treaters, but you don’t have to use all the sugary marshmallow to make them amazing. There are a number of recipes you can follow which swap out a few classic ingredients for something a little healthier in order to create the perfect Halloween snack. By using brown rice syrup instead of marshmallow, brown rice crisps instead of white rice and coconut oil instead of butter- you can make delicious, healthy treats that many claim are better than the original. Check out one of the recipes here. If you want to skip the food items altogether, many parents have opted to hand out toys instead. There are a number of items you can get in bulk for cheap such as pencils, erasers, stickers, mini water guns, temporary tattoos, mini play dough, sidewalk chalk, bouncing balls, bubbles and more. The possibilities are endless and none of these things will land your child in the dentist’s chair. If you’re thinking of skipping the candy and handing out toys, head to your local dollar store to find amazing deals on bulk items. There’s also the option of handing out pre-made veggie and fruit snacks, however this may only be a good idea if you’re close with the surrounding neighbors. Parents are often a little leery of pre-prepared snacks and the time and money you spent might simply end up in the trash. These days there really are dozens of candy alternatives that don’t skimp on the flavor. Do your own research to find what works best for you and your family, have fun with it, and get everyone involved. Keep in mind that most trick-or-treaters will be over-flowing with the sugary stuff- so its good practice as a parent and oral health advocate to provide something that will keep their smiles healthy throughout the year.